Clay soil is heavy, wet and alkaline. It is also often poor in nutrients. Clay soil is not ideal for growing shrubs, as most shrubs prefer rich, loamy soil that drains well. This type of soil holds onto water, which can lead to the development of root rot. Choose your plants carefully if you have this heavy, sticky type of soil. There are a few shrubs that will grow just fine--and even thrive--in clay soil. Arrowwood, a variety of Virbunum, is a shrub that's particularly suited to clay soil, according to Beth L. Jarvis, a horticulturist with the University of Minnesota. This deciduous shrub has a rounded shape and is medium-sized, growing to heights and widths of between 6 and 10 feet. In the spring, the shrubs blooms with clusters of tiny white flowers, which stand out nicely against the dark green, glossy leaves. In the fall, the shrub produces small, dark-blue berries. Arrowwood prefers full sunlight. 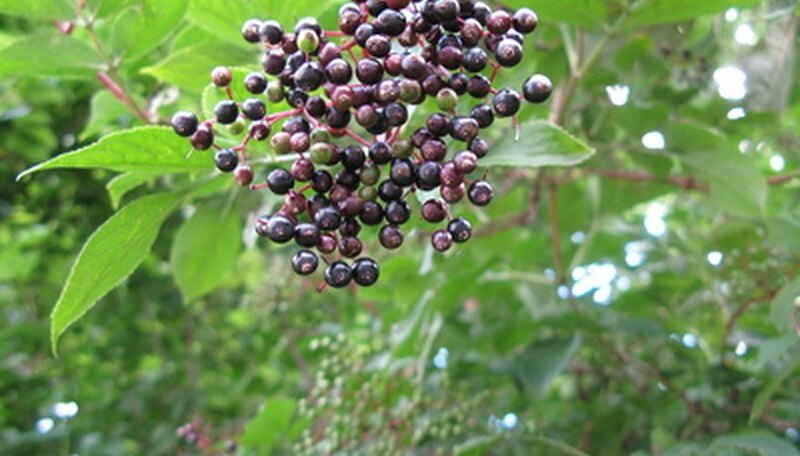 Ms. Jarvis also recommends the Nannyberry variety of Viburnum for clay soils. Also known as the American elder, this medium-sized shrub has attractive, feathery foliage and edible drupes that birds love. Elderberry averages between 10 and 15 feet tall and wide. In the spring, the shrub produces large sprays of tiny flowers. These shrubs grow in full sun or partial shade and can tolerate just about any type of soil, including clay soils. Most home gardeners think of dogwoods as towering trees, but there are many varieties of dogwoods that grow as shrubs. The red osier dogwood has attractive red bark that is especially showy in the winter when the leaves drop. The root system of this shrub is extensive and does well even in clay soil. For this reason, the shrub sometimes spreads extensively. Unlike some of the tree types of dogwoods, red osier does best in full sun, as do other shrub dogwoods, including tatarian and gray. Honeysuckle is a hardy, flowering vine that also has a pleasing fragrance. While some home gardeners train the vine to climb, others like to keep it pruned in shrub form. Honeysuckle does extremely well in alkaline, heavy clay soils and is a great choice for areas of the garden where other plants won't grow. An especially good variety for clay is coral or trumpet honeysuckle (Lonicera sempervirens). Honeysuckle will grow in either partial shade or full sun.